This is not Global’s first physical expansion though as the head office and original branch, in Airport Oaks, has spread across four buildings since 2010 with a staff compliment now reaching 40. Thanks to the depth of relationship with some 5000+ customers, Global Finance can boast an enviable Net Promoter Score (NPS) of 88 from its annual survey. This is about 80 points ahead of the New Zealand average for financial services, but it is not just about the score as the company’s founder, Ajay Kumar explains. “Our customers have consistently told us they would love to see us operating in more localities and closer to the expanding communities we have been serving in New Zealand for nearly two decades. This is a significant start to our response to the annual survey feedback and there is more to come as we roll out other projects in 2019”. It is this customer centricity that has seen Global Finance independently awarded as one of the best in the business. 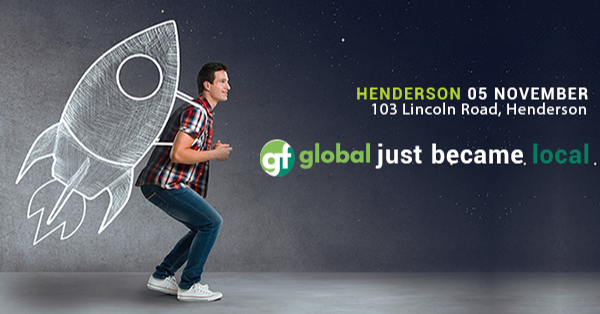 Global Finance have never lost sight of their reason for being – The Customer. In 2015 Global Finance was one of the first financial service advisory businesses to win “Excellence in Customer Service” at the Auckland Chamber of Commerce and ATEED Westpac Auckland Business Awards. The 2016 awards saw them collect the gong for “Marketing” and in the same year, the inaugural Deloittes Fast 50 Award for “Fastest growing mature business”. In the past 8 years Global Finance has won over 40 awards. Global Financial Services ltd (Global Finance) is New Zealand’s leading mortgage and insurance broker based in Auckland. It has arranged over $8 billion of mortgages and insurance cover for 5,000+ families since 1999.